Agrand cosmic Announcement of Freedom for the Earth is about to be proclaimed. There are incredible Earth changes under way and great bodies in the Heavens are showing themselves as they move ‘to and fro’ allowing huge amounts of magnetic white ionized light to flow into the Earth for the grand climax of The Event Horizon. At this time, for First and Second Wave Ascended Beings, the physical human body still may need to go into hibernation-delta mode for a bit, as these incredible energies integrate and morph the DNA into a more advanced species. Do not be alarmed and know that nothing is wrong with you health-wise. Feelings of nausea, unusual body pains, broken up or no sleep, feeling out of sorts or disconnected from this reality, seeing more things from other dimensions/timelines merging - a feeling of not remembering when things happened and what was dreamed about or meditated about or really happened. While some of you have experienced these things before in your ascension process, each time it happens you reach a new peak of awareness for you to adapt to and integrate within yourselves. The current energies and downloads First Wave Beings are integrating directly, relate to building the Light Body and the grand cosmic awakening/merging. Be aware that your body is morphing at the atomic level into a higher version of you. Take time and be easy with you. It’s a perfect time to really be alone with yourself and get to know who and what you truly are. Know that all is well and as it should be and that a magnificent thing is happening inside of you. Be open and allow it all to be. The Universe is having its way, so relax, let go, receive and don’t forget to breathe.Buckle up, sit back and enjoy the ride. There will be a slight bump or two as we move through the June 20 solstice portal. What was down will be up and what was up will be down as this last great gravitational wave gently rolls the earth over on its axis to propel unconscious humans from their slumber into a state of complete awareness and into an entirely new reality. The strong electromagnetic force of large celestial bodies passing over will soon turn off the old matrix power grid for about 4 months, so communities of Light must band together now and make collective preparations. It is noted that beings who go out of their body during this great transition of Earth changes have made a choice to do so and will complete their ascension in an alternate and easier way. Do not see any of this as bad or as a loss of life. There is no loss of life, there is only different levels of beings who do things different ways and all beings are on their own ascension path which is not to be judged in anyway. Everyone makes it, and it matters not how they choose to do it. 6202016 Is the perihelion and there is no turning back from a heart’s decision at this moment about how one’s ascension will be completed. Again this is neither good nor bad, it is just a personal choice (conscious or unconscious) if one is vibrating high enough to bring forth the New Earth or if one feels they cannot or will not be able to make this evolutionary quantum leap while still in the body. There is a time for everything under the Sun and the great Keepers of Time have set forth exact linear earth dates for the beings of this world to evolve from a primitive species to a Galactic one. 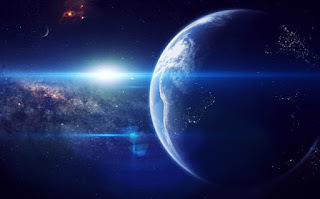 This time is at hand.Gaia and the cosmos will safely and intelligently move her 3D children to the New Earth as the First and Second wave Ascended Masters and Archangels (144,000 key holders) combine all their power at one moment to push open the gates of freedom into the new Crystalline Earth matrix. These First and Second Wave Beings will be the first beings in the universe to set foot onto the new world and will gently make way for the rest of humanity who took a different approach to be raised up to meet them. For this purpose did we come down from the Heavens to assist with the highest love for all sentient life on the Earth.The beauty and majesty of what is just over this Grand Event Horizon has been seen by no man and all great seers and prophets only had a glimpse of the beauty of Heaven and the New Earth as she shines as the great bride who will sit in her Holy Place in the celestial realms.Godspeed, Masters, as we all hold hands together now and give one last energetic ‘push’ and give birth to our new creation of life. I do not ask anyone to worship me, for I am one of your brothers, the Prophets. I am the Archangel who holds the great and final Seal for this world to change states to a higher way of being. This Seal is written in my heart and I have guarded it safely unto this day. It was given unto me, this destiny, to speak freedom to all the Earth at the exact and final hour of the old world. No man knows this hour and no man has ever gone up to the Kingdom where I shall open the great Sun Gate and say, “Enter in.” All the children of the Earth will be free and at rest when all of this is fulfilled.I am with you even to the end of the old world and, "Behold, I saw a New Heaven and a New Earth." I saw you and me playing there in freedom, love and all joy forever.